I did get to see something really great earlier in the day though. We were walking past a shed on the side if the street when I heard a strange noise. It sounded almost exactly like a donkey but we were in the middle of the city so I was confused… I went to investigate. 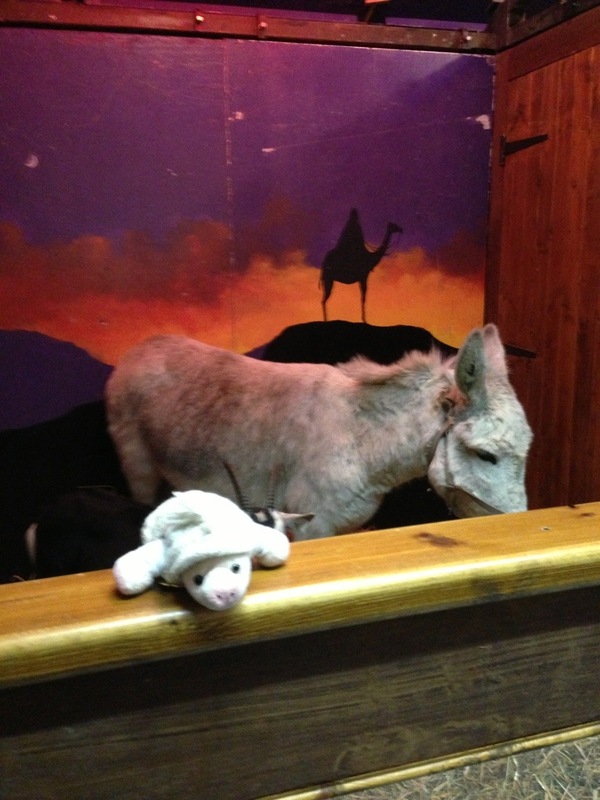 The sign on the door said ‘Live Crib’ but that didn’t give me much information, I didn’t know what a crib was. I stood on Ted’s shoulders to try to see in the window but we weren’t talk enough. So I had to be very brave and i went inside. I saw three donkeys, a goat and two sheep! It was amazing! Right up until the point where the goat tried to eat Ted and we had to run away. All that got me thinking. I know I saw the word ‘crib’ somewhere before… I looked it up on the Internet and I found a tv show where famous people show off their houses. I’m famous. So I needed a crib. Once we got home I found out why I recognized the word. 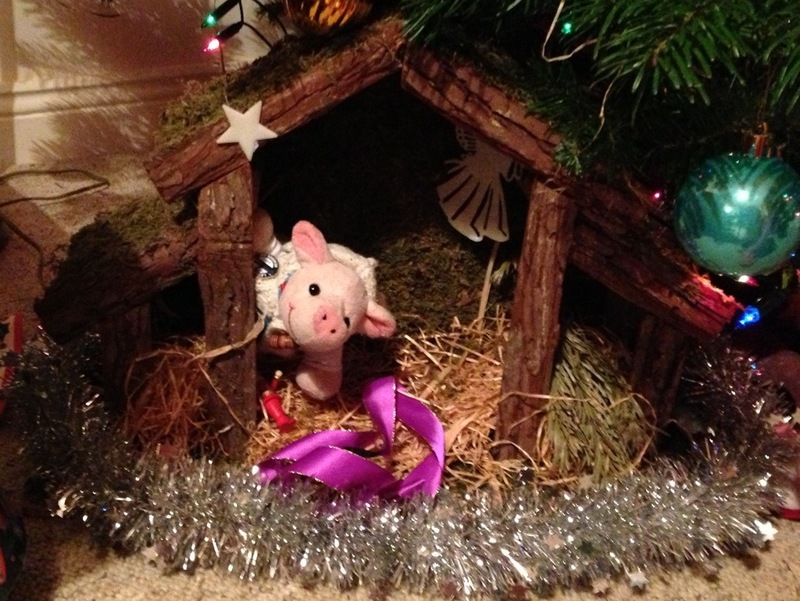 There was a box in the sitting room with ‘nativity crib’ written on it. Awesome, my parents obviously got me my own crib! I need to do some redecorating, it doesn’t have any turrets yet or a flat screen tv but once I find where Daddy left his wallet I’ll hire an interior decorator. So….welcome to my crib people!!! This entry was posted in Uncategorized and tagged Cribs, live crib mansion house Dublin. Bookmark the permalink. I always have time for my adoring public! Merry Oinkmas!